A recommander ... Bien situé, très calme, et très confortable. Accueil très chaleureux (en anglais). Three double Rooms with en suite bathroom or external private one. Wi fi connetivity and Kitchen. Gentes b&B is located in Rome Downtown. 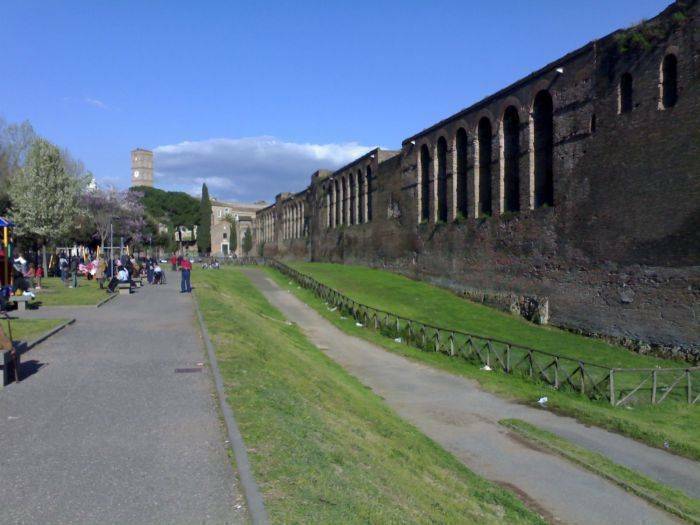 In a 10 minutes walk you can reach Fori Imperiali, Piazza Venezia, Piazza di Spagna, Via Frattina and Via Condotti. All public transport is easily accessible: two hundred meters from Metro’s line A (stops - Manzoni and San Giovanni), five hundred meters from Metro’s line B (stop - Colosseo), about one hundred meters from the main bus terminal. By a few stops of metro you can also reach the wonderful Saint Peter Square. Even though our Bed and Breakfast is located right in Rome’s historical centre, it is situated outside the ‘limited traffic area’ (ZTL) so that you can use your own means of transportation to get there. Under the building there is a metered parking and a private garage is just 200 meters away. Anyway do not worry about the decibel. via Tasso is set apart from the main routes of traffic. It’s quite peaceful. I could not believe it until I moved here to live. to book a room send a money transfr or you paypal on my blog for the first night rates.